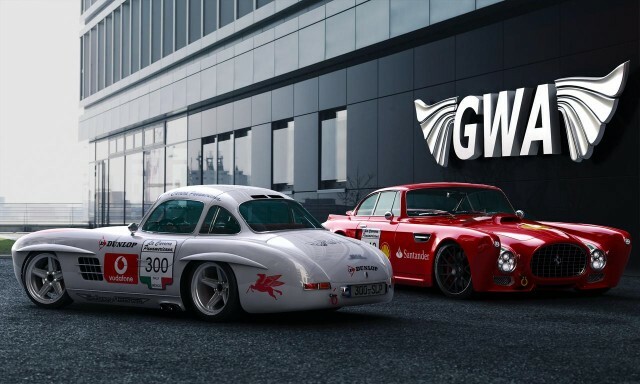 Gullwing America Auto Design are tuners that painstaikngly work to improve the classics of automobile engineering. Mercedes-Benz, Lamborghinis, Ferrari, Rolls-Royce, the make is the matter, and the most elegant recieve their royal treatment as modifications to their chasses, wheels, and interiors. They are famous for their retro-futuristic looks and overall improvement of everything that they touch, letting their works speak for themselves. Highly sought after, and well-deserving of their fame. Below is but a smdgen of their masterpieces, some of what Dive Away 2day considers to be the best of what they offer up-front. From GWA, the company that takes retro and makes it modern and cool, comes the latest addition to their lineup: the P/9C. This prototype is based on a 2005 - 2011 Porsche Boxster platform and utilizes the same 6-speed manual transmission and 3.4L engine with 217kW (295PS) and 291hp. 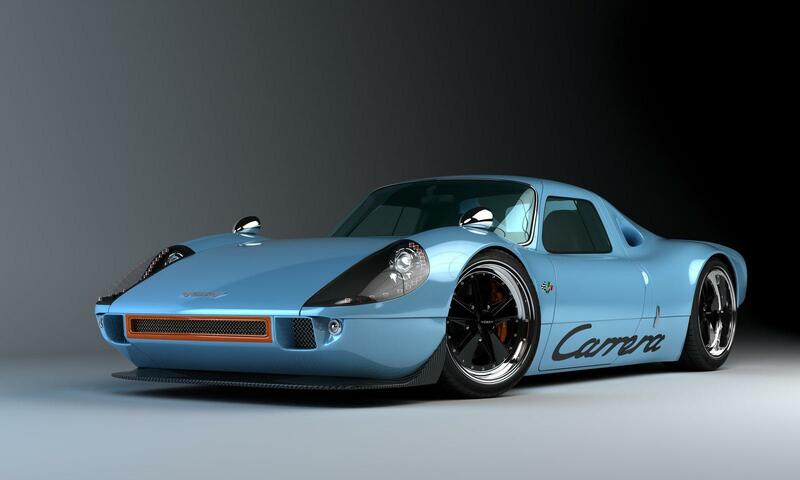 A throwback to the 1960's, the P/9C resembles the mid-engine race cars that were popular in that era. The Boxster platform will provide all the necessary modern amenities and key adjustments to the instrument panel, steering wheel and seats will give it that retro look of the original. The P/9C will be equipped with all the latest technology, including LED lights, iPod docking station, and navigation system. By using the Porsche Boxster platform, you also get all the good stuff like power steering, air conditioning, ABS and all those other modern basics that come with newer car models, while keeping the iconic beautiful, round lines of cars from the 60's. The sport tuned exhaust will give it that racecar sound, and the adjustable suspension will take care of the sport handling and high ride. The exterior of the P/9C will be made of composite and will be complemented by custom-designed GWA 5 spoke wheels in 18X8 front and 18X10 in the rear. While a production date has not been set, the prototype is being developed. Upon completion, GWA will conduct tests and smooth out the details before it is offered for sale. The estimated cost of conversion is around 70,000 Euros. This cost does not include any additional customization or the donor Boxster, which can be purchase with RHD if required.